The rent and lease length – Can you afford rent? How long is the lease? You probably do not want to get stuck in a five to ten year lease if possible. This can be a difficult lease to be in if your business grows more rapidly than you anticipated or the location turns out to be less than ideal. Your best option is a short term lease with option to renew. The physical space – Does your business need modifications to the original space? For instance, do you need to raise a loading dock, add some cubicles, or rewire for better communications? If so, confirm that you or your landlord is able to make those kinds of changes. Considerations specific to your business – Think about minor things, such as your signage privileges if you expect primarily walk in customers, or whether or not your landlord can lease nearby space to competitors. It is so important to go over your lease carefully—as tedious as it may be—to make sure that the needs of your business are being met. Know what you are getting yourself into, or your business could pay for it down the line. 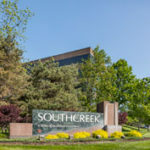 If your business is looking for an office space in Overland Park, KS, give a commercial real estate broker in Overland Park a call at 913-685-4100!